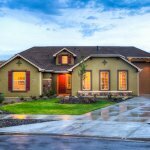 Are you considering selling your home in the Reno, Nevada area? Learn how to set your home apart to sell easier in Reno Nevada because you’ll most likely have some competition. It may require some work up front, but a little work can get your house sold quickly in the long run! Here are some great tips on how to distinguish your home and set your home apart to sell easier in Reno Nevada when you’re ready to sell in Reno Nevada. Potential buyers will subconsciously use all five senses to decide whether or not to make an offer on your home. Obviously, you’ll want to visual impressive potential buyers, but you’ll also want to think about what these potential buyers will hear, smell, taste, and touch. What they smell…You don’t want fragrances to overpower your home. Some people may be sensitive to smells, and before they see your home, you don’t want to drive anyone away. Consider fragrances that are universally attractive with that in mind. Everyone loves bread or the smell of freshly baked chocolate chip cookies. Or if you choose to use a candle or an incense, keep your fragrance light and mild. Vanilla or Citrus are popular choices for quest. Try to stay away from lavender as it is often too strong for some individuals. What they taste… The smell of cookies or fresh bread, as mentioned above, is universally attractive. You may have some cookies baking together with some other light but delicious hors d’oeuvres. People may not remember your crown molding color, but they’re going to remember the best brownie they’ve ever had. What they touch… your potential buyers may not physically touch many items in the home, but the things they do touch shouldn’t feel dirty. make sure all of the surfaces that are commonly touched are clean. Entertaining friends, serving great food and creating so much fun within the home, that people don’t want to leave is a great way to sell your Reno Nevada home fast!